Greatness from small beginnings? Sony and director Shawn Levy have officially overhauled the long-brewing Uncharted movie into a prequel, and they’ve already located their young Nathan Drake: Spider-Man: Homecoming‘s Tom Holland. News comes to us by way of Deadline, confirming that the video game adaptation will now mine inspiration from the third title in Naughty Dog’s illustrious action-adventure series (Drake’s Deception), one in which Drake has his first encounter with the professional rogue, Victor Sullivan. 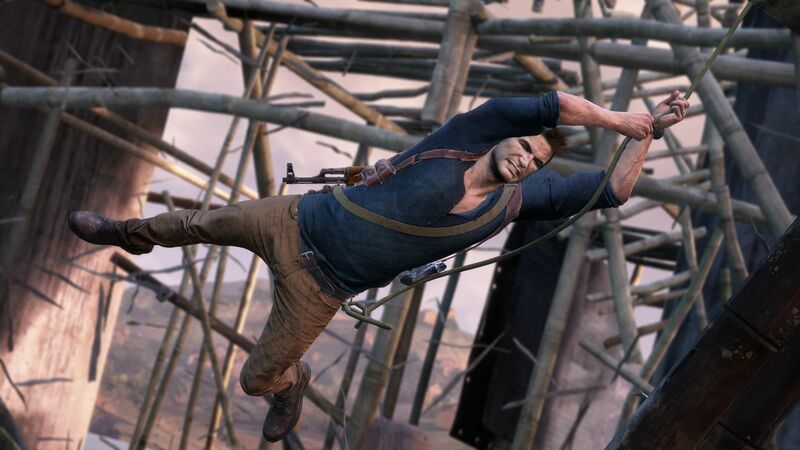 No further casting details were disclosed at this early stage, but by angling its live-action romp as a prequel, Sony is clearly in the process of fostering a full-blown franchise, and with five full-fledged Uncharted games already in the ether – six if you count turn-based spinoff Fight for Fortune – the studio has ample content to call upon. Tom Rothman was reportedly the one to order the hard reset and, after laying eyes on an early cut of Spider-Man: Homecoming, it didn’t take long for the Sony chief to settle on the young Nathan Drake. Perhaps what’s most impressive about this piece of casting is the fact that Tom Holland was able to find enough wiggle room on his stacked schedule to carve out space for Uncharted. With Homecoming looming on the horizon, the rising star has purportedly signed on for another two solo Marvel films, along with Avengers: Infinity War and its untitled sequel. No, they let me kinda do my thing. I probably wrote four of the biggest, f***in’ craziest action sequences I think I’ve ever written in that movie. I used the Uncharted games as a template but not using any one specifically, because those sequences have already been done beautifully. There’s no point in just transposing them to film, you’ve gotta come up with new sh*t, so that’s what I did. It was a great challenge but it was a lot of fun. Standing shoulder to pixelated shoulder with the likes of The Division and Tomb Raider, Sony’s live-action Uncharted movie is the latest video game movie to pick up steam in Hollywood. Word is that Shawn Levy is targeting an early 2019 release for the film, but we’ll be bringing you all the latest as this story develops.